freshspark is a fresh look at the world graphic and web design. As freshspark, we create websites that our clients want and that their customers can use; we listen to your wants and needs and work with you to create a web site that is attractive, accessible, functional and gets you the clients you want. At freshspark, it's not about us, it's about you. Why do you need a website if you don't sell your products online? With a well organised website you have a virtual sales team, working 24 x 7 getting found when your customers need you and leading them right to your door. A well designed website doesn't just look good, it's found quickly when it's needed. That's where our SEO expertise comes into play. Getting your website to the top of the search results makes sure customers find you and not some one else. 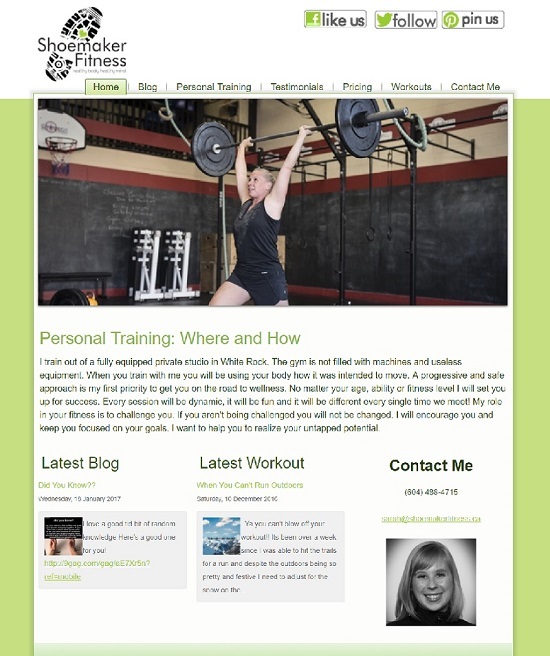 Our latest site, Shoemaker Fitness. © 2011 freshspark web design. All Rights Reserved.